Power steering fluid is subjected to extreme heat and pressure, which can cause the fluid to degrade in a similar manner to motor oil or transmission fluid. 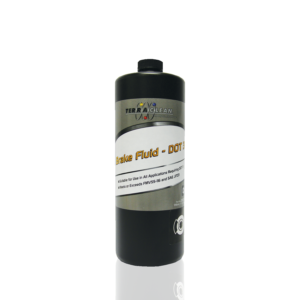 As the fluid degrades, it looses its lubricity which can cause metal to metal wear. TerraClean Power Steering Kits help eliminate these issues. 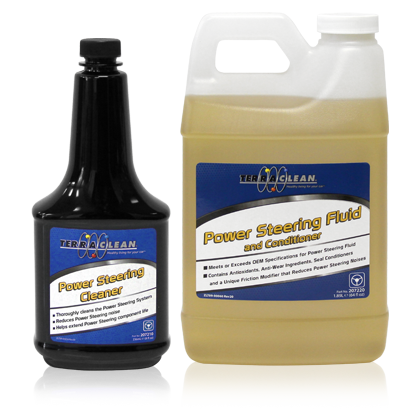 TerraClean® Power Steering Cleaner cleans components in the power steering system, while the Power Steering Fluid helps restore the condition of the seals to help eliminate and prevent leaks. It also helps eliminate noise in the system and reduces potential wear of expensive components. 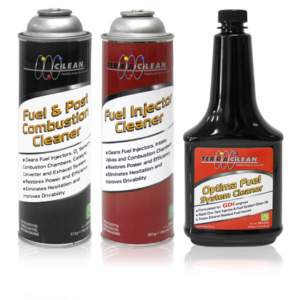 Using a TerraClean® Power Steering Cleaning Kit is an effective method of flushing your customers’ power steering system and helping to maintain proper performance. 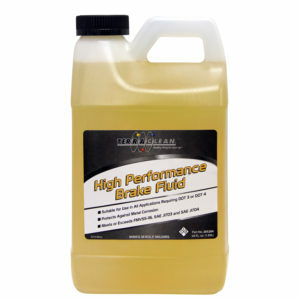 Also available with TerraClean Red Power Steering Fluid & Conditioner (Part Number 207240).